A poll last week showed that 82% of Americans feel unaffected by the government shutdown. I know that many small businesses fall in the other 18%… especially the ones trying to close on CRE without SBA authorization for their SBA 504 loan. We’re working overtime to approve and close loans that have been stalled by the shutdown. The newswires picked up our effort. You can read one of those here: Fountainhead Commercial Capital Will Fund SBA Real Estate Loans During Shutdown, for more information. And yes, we’re even closing unauthorized SBA 504 loans for other lenders. Fountainhead is funding conventional loans also, which may be an alternative for a stalled deal. As always, we’re diligently seeking to serve ALL our small business clients and referral partners with excellence and results that will grow business. Call or email me today to discuss. I had a first last week – hot air ballooning. (Plus, eating ants, a grasshopper and worm salt, but those are stories for another time). This was my “what-the-hell-have-I-done” face. Look closely, and you’ll see my very white knuckles. I am NOT a big fan of heights, so this was a MAJOR fear to overcome. Thanks to my good friends for the encouragement and support… I did it! 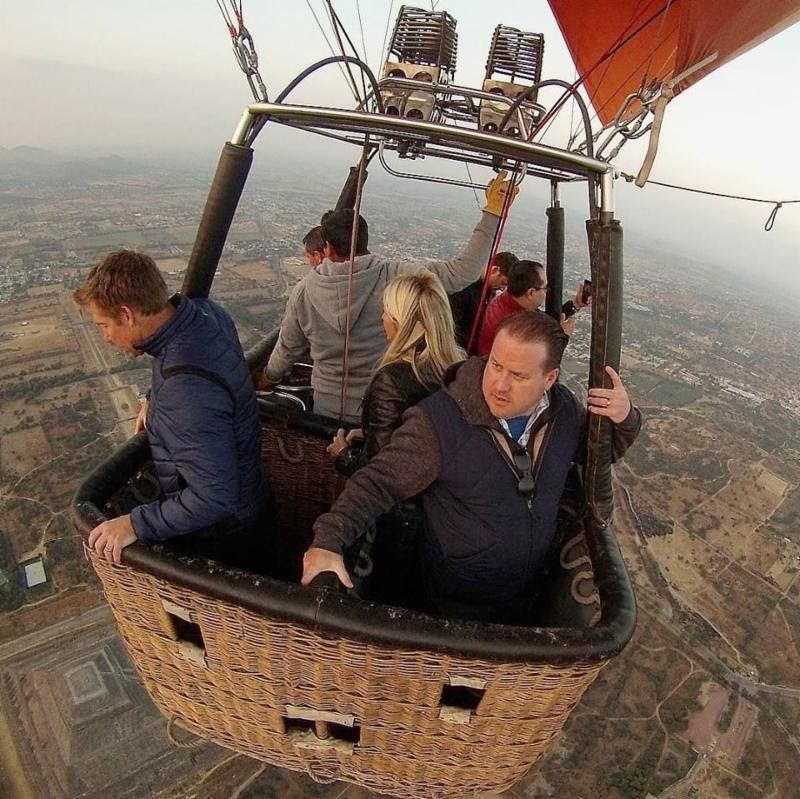 While I don’t plan to make hot air ballooning a regular hobby any time soon, it was certainly a reminder that overcoming a fear gives me confidence to be better and stronger in the rest of my life. We all need that at the start of a new year with the unknowns of 12 months ahead. Take a risk this week! Your year will reap the rewards!